I earned my degree in Botany from the University of Liège, Belgium, in 1989, and my Ph.D., in Botany at the University of Alberta, Edmonton, Canada, in 1997. I was a research associate at Duke University until 1999 when I joined UCONN. My research focuses on bryophyte and lichen systematics, with an emphasis on the evolution of the Orthotrichaceae, Splachnaceae and Funariaceae (Bryophyta) and the Peltigerales (lichenized Ascomycota), integrating observations of morphological trait variation, estimates of genome size and phylogenomic inferences. I helped develop the concept of tourism with a hand lens, in the southernmost forests of the world, in the Cape Horn Biosphere Reserve, in collaboration with Dr. Ricardo Rozzi. I teach Introduction to plant biology (Bio1110), bryophyte and lichen biology (EEB3240/5240) and evolution of green plants (EEB3220/5220) with Dr. Louise Lewis. Excellent Scholar award (travel award) International Botanical Congress, Shenzhen, China, July 2017. Elected member of the Connecticut Academy of Science and Engineering. Grady L. Webster Structural Botany Publication Award, which recognizes the most outstanding paper published in the American Journal of Botany in the field of structural and developmental botany in the last two years. The paper is: Budke, J. M., B. Goffinet & C.S. Jones. 2012. The cuticle on the calyptra matures before the sporophyte cuticle in the moss Funaria hygrometrica. American Journal of Botany 99: 14–22. (doi: 10.3732/ajb.1100311). Abstract. This work was led by Jessica Budke as part of her dissertation. 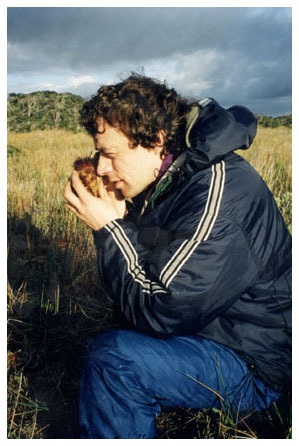 Richard Spruce Award in recognition of 25 Years of Outstanding Research in Bryology. Awarded by The International Association of Bryologists. Natural History Museum London, July 2013. Tuckerman Award for best paper on lichenology published in the Bryologist in 2012 (volume 115), by the American Bryological and Lichenological Society: Magain, N., B. Goffinet and E. Sérusiaux. 2012. Further photomorphs in the lichen family Lobariaceae from Reunion (Mascarene archipelago) with notes on the phylogeny of Dendriscocaulon cyanomorphs. The Bryologist 115: 243–254.